Most people that know me will know that I’m a huge Google fan; some of those people would probably describe me as religious when it comes to Google. That isn’t far from the truth, but even I recognize when Google is a bit off the mark (sometimes). When it comes to technologies that make life easier for me though, I am all in. That is, until they are ripped from my grasping arms because other people didn’t think it was useful (e.g. Google Wave), or because it infringed on people’s rights (e.g. Google Buzz), or because it allegedly broke some laws (e.g. Aereo *sniff*). Enter Google Contributor. Debuting in November of 2014, it allowed customers to pay a relatively small monthly fee to Google, and in turn that customer would be spared seeing ads that were served by Google Ads. The advantage of this was that a lot of websites were using Google Ads; around 50% of websites were using it in 2014, and in 2016 it had grown to 75.8%. It is expected to grow to more than 80% by 2019 (recode, Mar 2017). 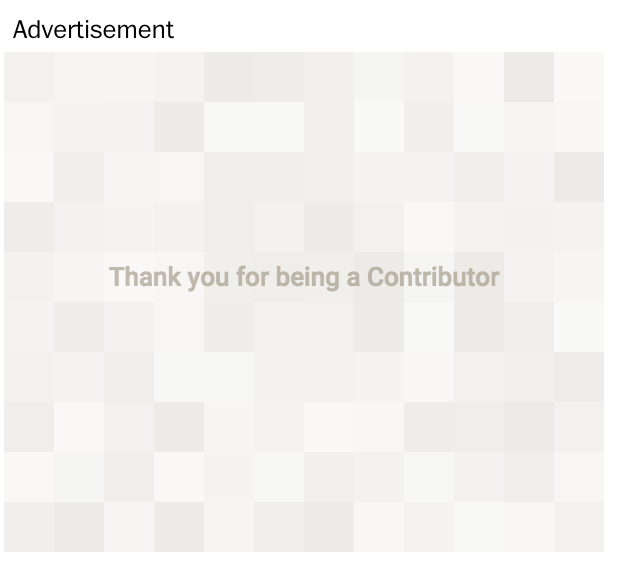 On those sites, instead of a Google Ad banner, you would get a placeholder thanking you for contributing. You could even change the settings to replace this with random images of cats, or if you were savvy enough, you could even create your own custom collection of pictures for Contributor to choose from. I learned about Google Contributor early in 2015 and signed right up. Don’t get me wrong, I love ads. Wait… not really. I mean, I have enjoyed the fact that they are getting more relevant to my interests and browsing habits, but in the long run, I’d rather pay to visit certain sites than to get blasted with ads everywhere I go. Most of the sites I frequented were Google Ad customers. I also enjoyed seeing the statistics in the Google Contributor dashboard and see how many sites I have “contributed” to and how much. 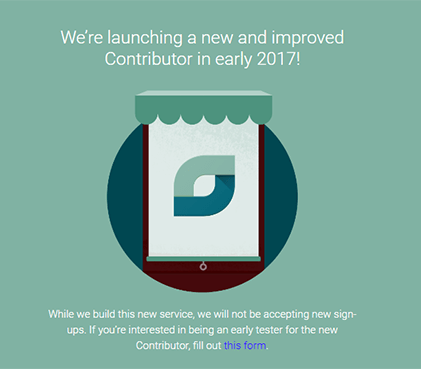 Then in December 2016, Google sends an email out stating that the Contributor that we know and love will be shut down in January in favor of a “new and improved Contributor”. This was interesting news and I was half upset, half excited. Upset because they are taking the existing functionality down until the new one was up. Excited because I was intrigued to see what this new and improved version would be like. After a few months, I had forgotten about it. I figured that when they relaunch they would send me an email, or I would see it in the twitter-verse or blogosphere, or something. But nothing like that happened. Earlier today I got a small reminder that I had to check on the status of Google Contributor because I had a really annoying advertisement on the site that would shake the text of the page for some reason. When I pulled up the Google Contributor page, I was greeted with the new program and was invited to get my pass. I was elated. However, there are a few differences. So, as usual, you pay for your pass which is $5, and you choose on which site(s) you want to use the pass. They give you four choices. Four!? The previous Contributor worked on all sites using Google Ads, so what’s up Google?! It turns out that there are 12 sites using Contributor currently, and they can all have their own pricing structure. Popular Mechanics and ComicBook for example only charge 1 cent per page, and Business Insider UK charges 4 cents per page. Now this is starting to make more sense. They couldn’t just green-light it across their entire user-base if each Google Ad customer can choose their own rates. The plus side is that anyone can register and put this on their website. I hope it won’t be long before more websites are on board and we can, once again, enjoy an ad-free internet after paying a small price.